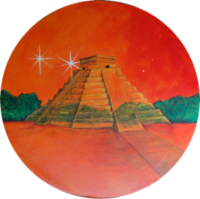 It has been told that Flys Crow, a priestess of the Mayan People, led her people across the great gulf waters in a time of upheaval in the land of the Maya. At the mouth of the great river now called the Mississippi, she and her people founded a new community based on the teachings of Quetzalcoatl. Over time, from this base, the way of the mound builders flowed out, touching tribes to the East and West. 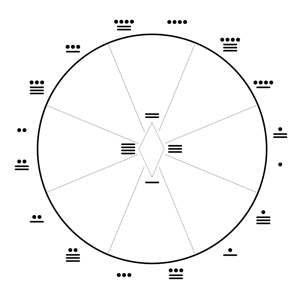 The old glyphs became the teaching wheels that are reflected in many tribal designs and in the teaching belts that were carried by the medicine people. 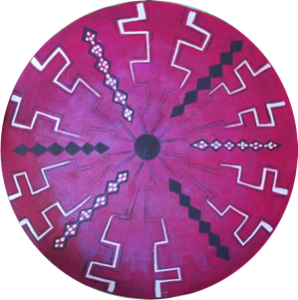 These wheels and designs were part of an oral tradition that was carried by many tribes, and flowered in numerous forms always keeping alive the relationship of respect for Grandmother Earth and the life that emanated from her. In 1879, when the people were subjected to a final onslaught from the new culture that had its roots in the lands across the great waters, a council of the many tribes was held in Oklahoma. At this council, it was seen that the teaching of the way of the wheels was in peril. There remained only thirty-seven of these teaching belts from the hundreds that had been before, due to wars of oppression and displacement. It was decided to give these remaining belts into the hands of thirty-seven medicine women in the hope to keep the culture of the wheels alive, for the men were under threat of extinction. One of these grandmothers was a woman named Tomasiasah, a Cree Indian from the north of the Great Lakes. Tomasiasah traveled back to the lands of the Cree, and over time had a number of apprentices who traveled and learned from her. One of these she taught was a Cheyenne woman named Eschimah who had come to her when she was young and afflicted with illness. Eschimah was healed by Tomasiasah, and she grew to be a medicine teacher that carried the belt and had her own apprentices. In Eschimah’s latter years, she had a young Métis who carried the name Mountain River as an apprentice. By the time of Eschimah’s passing to the Great Round in 1969, she had passed the teachings called ‘The Delicate Lodge” to Mountain River. This belt carried over 100 wheels of the knowledge from the oral tradition. In time this belt was passed to the founders of Ehama Institute, RainbowHawk and WindEagle, who passed it to their apprentice, WhiteEagle. They carry the words given to them by the chiefs, “Breathe these teachings into the world. 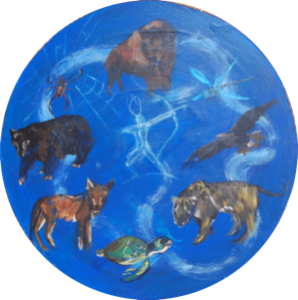 It is time and maybe some good will come of this.” We share this story with you with respect for those ancestors who have walked before, and with love and honor for the Mother Earth, who knows all the stories. 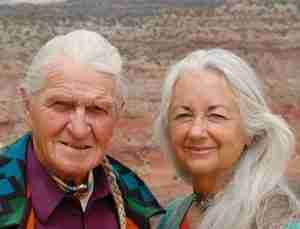 WindEagle and RainbowHawk*, Lineage Keepers of an ancient body of Self Knowledge and Earth Wisdom Teachings called the Origin Teachings of the Delicate Lodge, founded Ehama Institute in 1995. This enduring wisdom offers a framework for meeting today’s ever increasing global challenges. 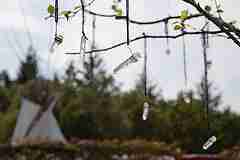 Ehama Institute is dedicated to mending the sacred hoop of the people. This dedication, in essence, is to play our part to bring the people back together. 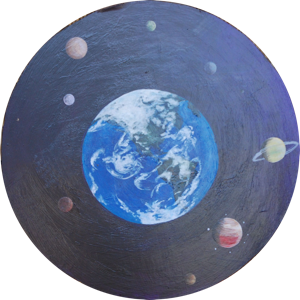 Imagine the peoples of the world able to collaborate, able to council to find solutions for our planet, able to live harmoniously sharing resource and able to learn equally from all cultures on this planet. 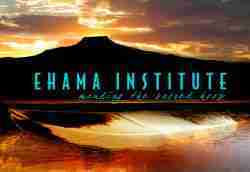 Ehama Institute is a not-for-profit teaching center located in Abiquiu, New Mexico, US. Co-founders, WindEagle and RainbowHawk, have worked with individuals, training groups, organizations and communities throughout the world for over two decades. 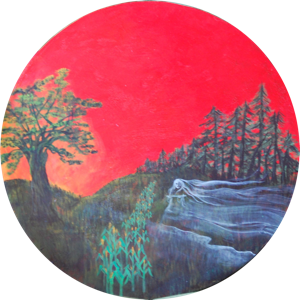 In 2003, they published their first book, Heart Seeds, a message from the ancestors, in which WindEagle and RainbowHawk recount the ancient oral stories of remembrance and share the relevance of these “heart seeds” for both the present time and our collective future. In 2007, the World Foundation for the Discipline of Peace, a Global Expression of Ehama Institute, was formed to create a world-wise People’s Movement of the First Peace. This People’s Movement is based on Eight Universal Principles and Practices of Peace, which calls for the coming together of many traditions, cultures and ages with the intent of celebrating our unique ways of creating peace in the self. In 2009, the People’s Movement of the First Peace was launched with people attending from eleven nations. Representatives from Baha’i, Buddhist, Christian, Jewish, Navajo and Sikh traditions—a confluence of many wisdom rivers – shared their respective practices of peace, awakening our collective capacity to live peace in our selves as a daily practice. 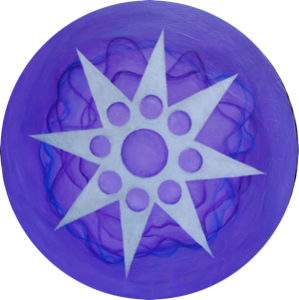 As a lineage carrier and master teacher, WindEagle dedicates her time to the unfolding of collective wisdom, the awakening of higher consciousness, the balance of being and becoming and the calling forth of the highest potential for the benefit of all beings. 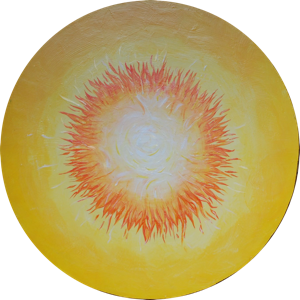 Opposite the Winter Solstice and the energy of dreaming, we rise to the summer solstice when the energy of flowering and gifting of the spirit is at its peak. In the Dance to the Sun we bring the depth of our dedication and heart yearning to the Sacred Tree of Life as we pray for peace on our planet and the coming together of all our relations. The World Foundation for the Discipline of Peace is the global expression of Ehama Institute and was formed to foster the People’s Movement of First Peace. 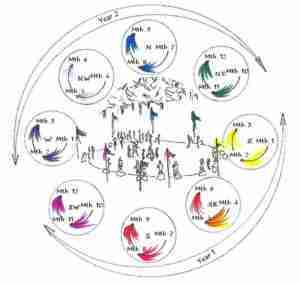 Using Eight Universal Principles and Practices in harmony with different cultures and traditions, circles of peace are forming around the world, creating a culture of peace by living peace in the self. Start a First Peace Circle in your community. WindEagle is a rare individual who makes a lasting impact in the lives of each person. She is an engaging speaker and is available to speak with groups.